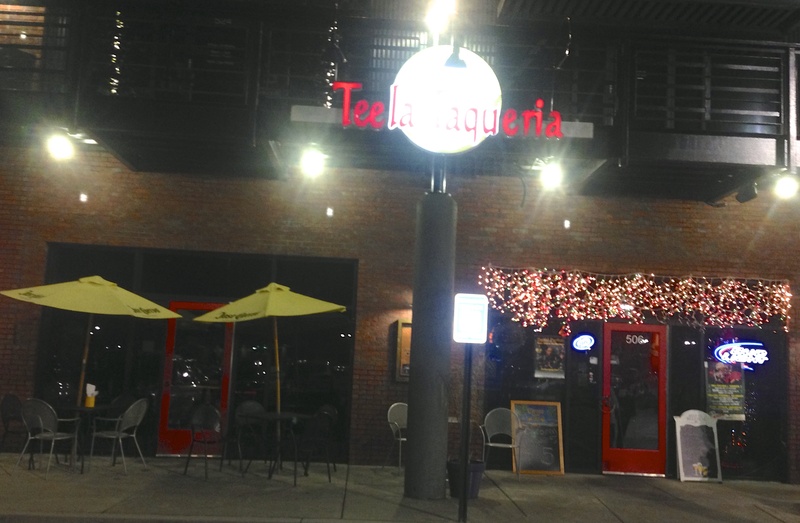 While the cute half of Date Night is at work on a Sunday night, the writing half attends a food blogger meet up at Teela Taqueria at the City Walk in Sandy Springs. –Your humble Date Night correspondent. I am pleased to report that as of this writing, we are #15 on Urbanspoon, with a bullet! I will not identify any of the bloggers in case they are hiding from the law. 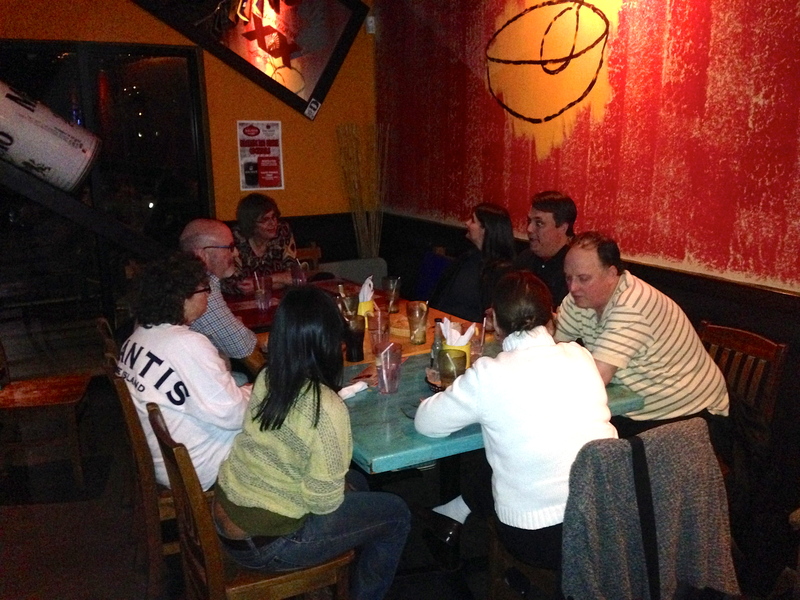 We are gathered to discuss our favorite topics, mostly eating and food. The most popular taqueria in the ATL is probably Taqueria del Sol. I don’t really get the attraction as the line to order food usually goes out into the parking lot, and then sometimes there are no tables when your food is ready. At Teela, they come and take your order and wait on you just like they do in most grownup restaurants. There is a bar for those of you who like something more potent than the water I order. The only drawback of taquerias is that you have to pay for chips. Unlike a Mexican restaurant, there is not an never-ending basket of chips here. That’s OK, because the food is so good that you should fill up on it instead of the chips. There are two taco sections on the menu, the “favorite tacos” that are $2.95 each and the “twisted tacos” that are $3.95 each. Enchiladas, nachos, and quesadillas are available, but the specialty item is definitely the tacos. You can get anything you want in your taco, from shrimp to brisket, to pork to chicken to fish. Veggie tacos are available for non-meat eaters. I order three from the “twisted taco” section. On the left is the grilled pollo taco, chicken, guacamole and pineapple salsa in a soft flour tortilla. The guac is excellent and I really liked this taco. In the center is the greek gyro taco, lamb and tzaziki sauce with lettuce and tomato. It reminded me a lot of a gyro wrap. 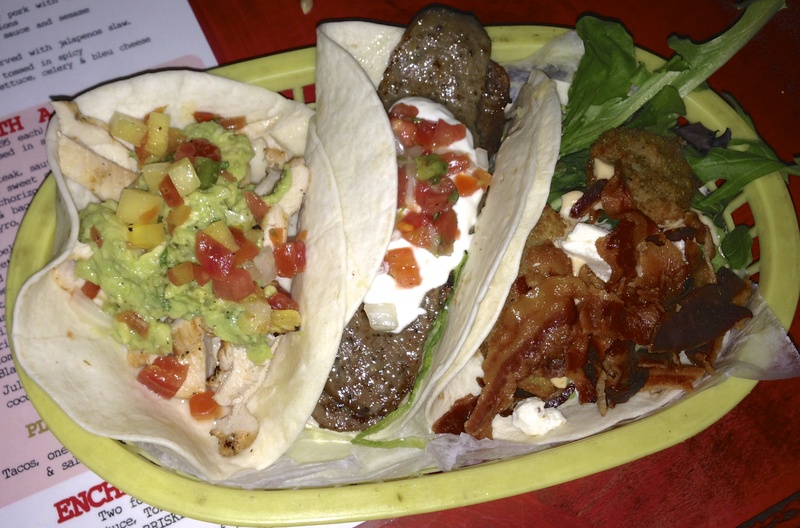 On the right is my favorite, the southern BLT taco. This taco is brimming with bacon, lettuce and fried green tomatoes along with some feta cheese. Our server Hannah, who has no idea she is taking care of so many food critics, steers me to this taco and it lives up to its hype. 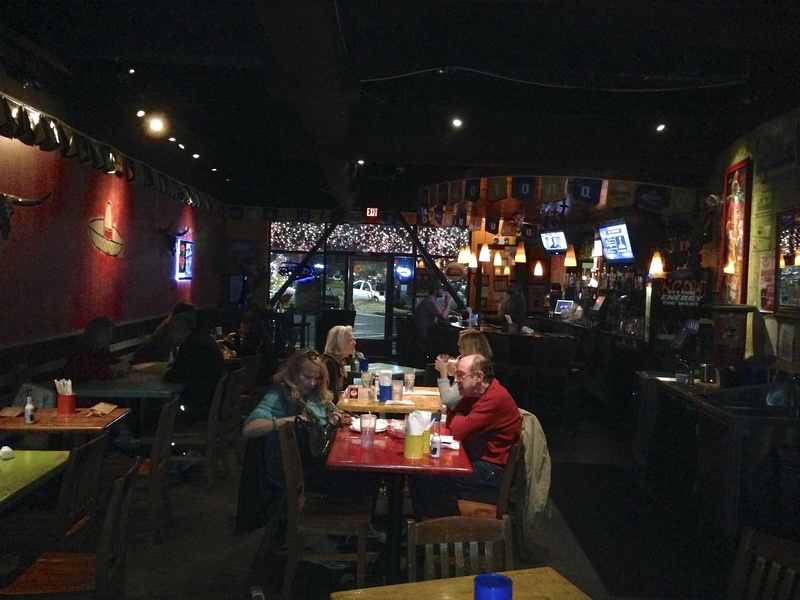 Teela turns out to be an undiscovered jewel in Sandy Springs. The food is much better than Taqueria del Sol and you don’t have to stand in line to get it. I am looking forward to going back with Eve so I can sample three more creations from their ambitious taco menu.